Bashful Bob and Doleful Dorinda is the third book in an alliterative series which began with Rude Ramsay and the Roaring Radishes and followed up by Princess Prunella and the Purple Peanut. ohn Parr Miller, an early animator for Walt Disney whose later art adorned best-selling children's books, including those in the popular Little Golden Books series, died on Oct. 29 on Long Island. He was 91 and lived in Manhasset, N.Y.
After much deliberation and some rereading I have arrived at my Top Ten Teen Titles of the Year for The Scotsman. A number of titles prominently featured in award shortlists are not in my Top Ten - an example being Not The End of the World by Geraldine McCaughrean, a book so superlatively good that it should be entered for the Booker Prize. It is not, however, in my view, a book that speaks predominantly to a Young Adult audience. Other books from the Guardian and Whitbread shortlists are also missing from my Top Ten. Although a re-reading of one of them has persuaded me to give it a place, I am not persuaded that it should have displaced some of my higher-placed titles from the aforementioned shortlists. There will be a prize for the person who can most accurately replicate my Top Ten prior to its publication in The Scotsman. Suggested Top Tens can be posted here on the Blog, via Comments, or on ACHUKACHAT. Congratulations to David Belbin, for having organised such a successful and well-attended one-day conference on Young Adult fiction, held at Nottingham Trent University yesterday. The large lecture theatre that was the venue for the various panel discussions throughout the day was full nearly to capacity, with editors, school librarians, agents, reviewers and others voluntarily giving up half of the weekend to attend. Melvin Burgess, giving the closing keynote speech, was in fine, freeflowing form, talking about the variously barmy and barking mad objections to his work, but the prize for the most entertaining speaker of the day has to go to Keith Gray, who, with an anecdotalist's mastery of timing, told a tale about the 18 numbered instructions attached to a stepladder - a tale which, as the story unfolded, became, amongst other things, an oblique moral fable about the dangers of patronising an audience. A resume of the day will follow (after I have met a Scotsman deadline, which will also delay dispatch of this week's Mailing List update). The worst part of the roundtrip (which involved leaving home before 5am and arriving back after 10pm) was having to use the new St Pancras station - not the inconvenience of the building works and the 10 minute walk to and from Kings Cross Thamselink, but the sheer brutal ghastliness of the new station itself. Waiting for the outward train in the morning, I sat on a hard bench looking up at the steely hangar, while an electric buggy marked 'Mobility Assistance' (or some such ridiculous phrase) beeb-beeped by, and felt as if I was in some futuristic East German film, made in the Cold War. Searching in vain for online versions of the children's books coverage in today's Independent On Sunday, I came instead upon this strongly critical review of Philip Kerr's Children Of The Lamp. The review is by Nick Tucker and was printed in the November 22nd edition. [Ahlberg's] latest foray, building a plot of sorts around the riddle about how a boy ferries a sheep, a wolf and a lettuce across in a boat made only for two is arch, muddled and self-indulgent. Genius demands a continual purification and renewal of talent. Pullman has realised that, and it?s why he is great. Pullman has gone for a full-scale retelling, returning to some of the scholarly versions of the tale. In so doing, he's avoided the over-floweriness of those editions and his dialogue is, as you'd expect, direct and to the point. It all makes for a fine gift book and good family reading. Ian Lamb, currently at Puffin, will join Bloomsbury as Children's Publicity Manager. And Joanne Owen, a buyer at Borders, will join the marketing team. Man On The Moon by Simon Bartram has been voted the overall winner of the Blue Peter Book Awards. It was also the best picture book to read aloud. Montmorency by Eleanor Updale won the 'book I couldn't put down' category, and The Ultimate Book Guide by Daniel Hahn the 'best book with facts' category. The British Library would like to invite you to participate in this pilot project by archiving your web site... We have judged this web site to be an important part of our documentary heritage and would like it to remain available to researchers in the future. If the pilot is successful the archived copy of your web site will subsequently form part of our permanent collections. Copyright will remain unaffected: "You still retain full copyright in your web site, both in the live version of your web site and the archived version in the Consortium?s archive. If any third party wanted to copy more than an insubstantial portion (as defined by the Copyright, Designs and Patents Act 1988) either from the live version of your web site or from the archived version, they would still be obliged to seek your permission." Alyx Price has been appointed as Group PR Director for Scholastic UK . This is a new role that will project the public face of all of the Scholastic UK group's businesses - Scholastic Children's Books, Scholastic Book Clubs and Fairs and Scholastic Education. Alyx will work closely with the heads of those businesses - Gavin Lang, Miles Stevens-Hoare and Max Adam. Kate Wilson, Group M.D., said, "I am delighted that Alyx is joining us. She has a huge talent for making connections with a wide range of people including authors, illustrators, educators and the media, which will be invaluable to Scholastic in this new phase of its growth and development." Alyx was formerly the Publicity Director for Macmillan Children's Books. She is currently travelling, and will join the business on 28th February 2005. Alyx looks forward to the challenges ahead. "I am delighted to have the opportunity to take on this challenge of working with all parts of the Scholastic business in the UK. Scholastic has an exciting range of publishing programmes linked uniquely with the capacity to make direct contact with children and teachers, getting children reading and giving books to schools. I look forward to communicating this to the outside world." Hotlink to item blogged yesterday - or scroll down. Here's a link to the blogged shortlists, so that you can remind yourself which books are contenders, ahead of the announcement tomorrow (Friday) at 5pm. With Earthsea, Le Guin hoped to put both political and magical issues in a serious light, as compared to lighter works like the Harry Potter books. "[The wizards in Harry Potter] ? use their wizardry just against each other. It's a competitive sport, whereas my Earthsea books are really kind of a study of power. What's good about having unlimited power, what's bad about it, what's the responsibility, what does it do to you as a person to have power. "I think in my Earthsea books, the wizards are testing themselves in a kind of real world, where it's not full of Muggles, it's full of real people with problems. That's a big difference. It's partly the difference between a child's book and a young adult book." Marion Lloyd and Alison Green are to leave Macmillan and work with Kate Wilson (also previously at Macmillan) who is now Group MD at Scholastic. They will both head up eponymous children's book imprints, Marion Lloyd Books and Alison Green Books. I am very happy to have the opportunity to work with both Marion and Alison once again. I value Marion's astute judgement of potential, her editorial rigour and her caring approach to authors and colleagues very highly. Alison's editorial skills and instincts and her eye for illustration and for paper-engineering are unparalleled. I believe that Scholastic can give them, and the authors and illustrators they work with, remarkable opportunities to succeed in the UK and internationally. The latest animated adventure from the director of Spirited Away, Hayao Miyazaki, has set a new Japanese box office record for an opening weekend with a 1.5bn yen (?7.85m) haul. Howl's Moving Castle, based on a British children's book of the same name by Diana Wynne Jones, is a tale of witches, wizards and mixed identities. From time to time a review title is sent to me at school, rather than to the ACHUKA address. These titles tend to be self-published, often by teachers. I wish it happened more, just as I wish more of them were worthy of mention. The package I opened just after lunch today was sent by an ex-teacher but contained a title published by Hodder. Look out for it. Better still, ask for it, as bookshops are likely to have dificulty deciding where to shelve/display it. Harry Hargreaves, who has died aged 82, was a cartoonist who produced "the bird" for Punch and Hayseeds in the London Evening News; perhaps his most popular work, however, was his series of drawings illustrating Michael Bond's Paddington Bear stories for the Blue Peter annuals. ...Both the words and the images articulate strong emotion with admirable economy and convey a sense of the preciousness of life without being sentimental, platitudinous or falsely hopeful. At moments, the story is even funny. This is certainly a book that makes you sad, but its honesty is surprisingly uplifting. ... Her most popular work, "A Parent's Guide to Children's Reading," was published in 1958 and reprinted six times. Meg Rosoff takes an amusing look at her own c.v. and reflects that the best thing about being a writer is not having to work in advertising anymore, which makes her glad that she didn't have her first book published until her mid-forties. ... ...by the way, the second book is proving slower to write, sadly smashing my early dreams of four bestsellers per year. But it's still infinitely more fun than selling instant coffee. ... ...There is material here for a long, discursive novel, perhaps a philosophical examination of the chasm between western and aboriginal cultures, or a sentimental portrayal of the chasm bridged by common humanity. In fact it is tiny, maybe 15,000 words, so simply written that a seven-year-old could read it, nudged into understanding by Ian McCaughrean's black and white renderings of the 10 photographs. Adults might consider these redundant since the writing is so luminously graphic, but this is a children's book, no crossover nonsense here. Adults chancing upon it should feel grateful that Geraldine McCaughrean believes young readers deserve work of this depth and quality. Young author Ned Vizzini has received a hugely influential endorsement on the US 'Today Book Club' when Judy Blume, hot from the National Book Awards, chose Be More Chill as the show's Book Club selection. The web link contains a video link to the chat section of the show in which both Blume and Vizzini talk about the book. Apologies, particularly to the author, Anne Cassidy, for failing to report the fact that she has been judged the winner of the second Booktrust Teenage Prize Looking for JJ by Anne Cassidy. This year the biggest and brightest new Christmas picture book comes from James Patterson, a bestselling author whose name is usually associated with crime thrillers. He has written two compelling (and inter-connected) love stories: Suzanne's Diary for Nicolas and Sam's Letter to Jennifer. Now that he has a young son, Patterson decided it was time for him to write a children's book that celebrates the joy of Christmas. Stephane Jorisch's rendering of Jabberwocky is not for young children, there are other editions more suitable for them. This is a version for secondary students or students at college or university, not little ones. That stated, it is a challenging and gripping exercise for the imagination. Limbless ex-soldiers stand before rows of television sets on which an officer is backed by a text,"Beware the Jabberwock". An old soldier sends his son, a dress designer, off to tackle this enemy. When his son returns victorious "Callooh! Callay!" is cried out from a hospital bed where the old man lies dying; and the whole ends with the old soldier's funeral. Alice found the poem hard to understand, she would certainly have had trouble with this version. This is an interpretation that contains clues only truly accessible to those who have lived a little and are cognizant of repressive invasive societies and war. The illustrations explore war, the freedom to do as you wish, the right to be creative in a militarized world. The overwhelming presence of television comments on the influence of the media and the power of this influence in the wrong hands. Ink drawings, splashes of sombre shades of colour challenge the reader to see and then to see again. Powerful, dramatic, an outstanding interpretation, Jorisch's visual narrative is for an older, more sophisticated audience. The ever-popular Clive Barker is back in US best-seller list with both the first and second volumes of his new series Abarat. Aimed at the Young Adult market, Abarat is the story of Candy Quakenbush who is swept from her home in Chickentown (by the Izabella sea) to the fantasy world of the Abarat archipelago, where each island represents a different hour of the day. In this second volume, Days of Magic: Nights of War, Candy and her friend Malingo are still being pursued by the Criss-Cross Man, a servant of the evil Christopher Carrion, Lord of Midnight. "I think mobile phones have done more to infantilise and reduce children's resources and ability to be on their own, even in their own head, than anything else. "If you watch them, the minute they are on their own, they start to text someone. It is an even more facile contact with the world than television. That's facile enough because there is no inner life to television. If I could give advice to parents, I'd say don't allow children to watch any more than three hours a week of television and don't let them have a mobile." Scholastic Inc. announced today the winners of its extensive trans-atlantic "Three Wishes for the World" essay contest where children in the United States and United Kingdom have the chance to win all-expense paid trips to New York and London. 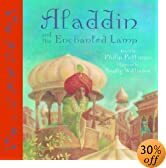 The essay contest was inspired by Scholastic's New York Times best-selling Children of the Lamp trilogy by acclaimed British author P.B. Kerr. Kenneth Oppel confessed to a seminal movie moment Monday after accepting the 2004 Governor General's children's literature prize for his latest novel, Airborn. "Someone asked me what the most memorable event in my childhood was - it was at a book conference, too - and I scandalously said it was seeing Star Wars for the first time," said the 37-year old Toronto author. "Some people got quite mortified that I would even dare to say this at a book festival. But it was true." Recomended - Report of acceptance speech given by Canadian author, Kenneth Oppel, on receiving the 2004 Governor General's children's literature prize for his latest novel, Airborn. In the alternative world of Kenneth Oppel's Airborn luxury airships fly over the Pacificus, operating only in charted skies. Matt Cruse, fifteen-years-old, is a cabin boy on the Aurora. He is following in his dead father's footsteps, training to be a sailmaker and, if fortune smiles, a captain. When we first meet him he is undertaking the daring rescue of an elderly balloonist who speaks, in his dying moments, of beautiful winged cat-like creatures,"Kate would've loved them". A year later Kate de Vries, the granddaughter of the balloonist, comes aboard as a passenger. Through the sharing of her grandfather's diary the two become close friends who face danger together as air pirates board the Aurora, leaving her badly damaged. A storm forces the battered airship to set down on a desert island. Oppel's invention is totally convincing. It is a world in which the "what ifs" of invention have come to pass; in which a Nineteenth Century swashbuckling adventure can come true and feel true. In Airborn masterly storytelling offers mystery, adventure, discovery and growth. It is a tale in which courage, quick thinking and loyalty exuberantly succeed. This is dream week for Deb Caletti, a 41-year-old Issaquah writer who is one of five finalists for the National Book Award in young adult fiction for her second novel, Honey, Baby, Sweetheart (Simon & Schuster, 308 pages, $15.95). Caletti will be in New York City for the gala awards ceremony on Wednesday evening. The life of the Norse sea-farers is so detailed that any child who reads this will pick up far more about Viking customs, beliefs and language than a hundred school text-books. It's strange that out of the four best new novels for children to be published this year, three should be about this period and people, but I have no hesitation in recommending Sea of Trolls as the best children's novel of the year. What Julie does very well is chart the ups and downs of friendship between girls. The bitchiness, the tenderness, the fads and the fashions: they're all there. She's shrewd about noting the status and position of black girls at school. She's sharp about families and she's funny an awful lot of the time. There should be an award for the most inane truncated press quote to appear on a book jacket. The Indy's revelation, emblazoned across Philip Pullman's latest work, The Scarecrow and his Servant, that he is "A masterly storyteller" would be a contender. Anne Johnstone of The Herald, at the start of her review of The Scarecrow And The Servant by Philip Pullman ("probably incapable of writing a bad book"). "People are trying hard to get children to read lots more but writing is difficult because creative writing is not taught properly in schools." "Teachers prime concern is to construct proper sentences but if we want children to develop imaginations it is more fun to let them rip,"
A report - with quotes - on some talks given by Jon Scieszka last Friday to students at Culver Academies. "If I tried to write it now, when I'm a much better writer, I'd ruin it," she says. "They think I'm being mean when I say, 'No, I won't write a sequel.' But I need to change that to, 'No, I can't write a sequel.' "
Author David Kirk is the creator of the popular Miss Spider series of children's books, which have sold close to 5 (m) million copies since 1994. Now, Kirk's creation is reaching an even wider audience as a daily show on Nick Junior and C-B-S -- "Miss Spider's Sunny Patch Friends." The president is giving first lady Laura Bush a puppy for her birthday. The Scottish terrier pup is related to Barney, the current first pooch, and will be named Miss Beazley after a dinosaur in the children's book The Enormous Egg. The Eleanor Farjeon Award was presented (in London, last night) to Jacqueline Wilson. At the presentation she revealed that her legendary collection of books is currently boxed up while she is in the process of moving in to a larger house, which previously belonged to a dentist. The Eleanor Farjeon Award rewards outstanding achievement in children?s books. It is awarded to an individual in recognition of their distinguished contribution to the world of children?s books. The winner is chosen from nominations from members of the Children?s Book Circle ? entries are not required. The bottle of emergency foul mouth wash, also mentioned on the sickbag but not enclosed, is (I trust) to follow. Continue reading Illustrators On Tap. Changes to a 25-year-old children's classic about a hippopotamus that eats cake are set to reopen the debate over whether parents should smack their children. Melbourne author Hazel Edwards yesterday said she had been been asked by her publisher, Penguin, to change the line "Daddy gave me a smack" to "Daddy growled at me" in her book There's a Hippopotamus on Our Roof Eating Cake. HarperCollins UK have won the LIMA Licensee Publisher of the Year Award for the second consecutive year. The Properties division's star performance has been helped by its stable of thoroughbred children's publishing properties including Noddy, Teenage Mutant Ninja Turtles, Tractor Tom, Narnia and Mary-Kate and Ashley, as well as film tie-in publishing to the movie blockbusters Cat in the Hat, Spiderman 2 and Thunderbirds. One of 2004' s star performers has been Dr. Seuss - which has been celebrating the 'Seussentenial', 100 years since the birth of Theodore Geisel (aka Dr Seuss). As well as throwing the world's biggest birthday party in libraries up and down the country, Dr. Seuss' sales figures have increased year on year by 38%. I've just stumbled on this daily webcomicstrip about library life, with a children's and young adult librarian as two of its main characters. As well as showing the latest daily offering, there's an archive with a random button to help you catch up with past strips. Warning - it's addictive. Bloomsbury Children?s Books has acquired hardcover and paperback publication rights to a new novel by Louis Sachar entitled, SMALL STEPS: a sequel to Holes. Sarah Odedina says, ?It is a vibrant, exciting and richly plotted book that is immensely pleasurable to read. This compelling book will appeal not only to Louis?s many fans, but all those lucky enough to still discover him as an author.? In SMALL STEPS... readers will be reunited with Armpit and X-Ray Stanley Yelnats?s pals from Camp Green Lake, Armpit and X-Ray from Camp Green Lake. It?s three years later, and Armpit is taking small steps to turn his life around. Joined by old friends and a cast of vibrant new characters, Armpit discovers what it takes to stay on course and learns that doing the right thing is never the wrong choice. ``The reason I don't see much difference between writing for children and writing for adults is I don't see much difference in general between children and adults,'' he says. "a gem of emotional and artistic harmony"